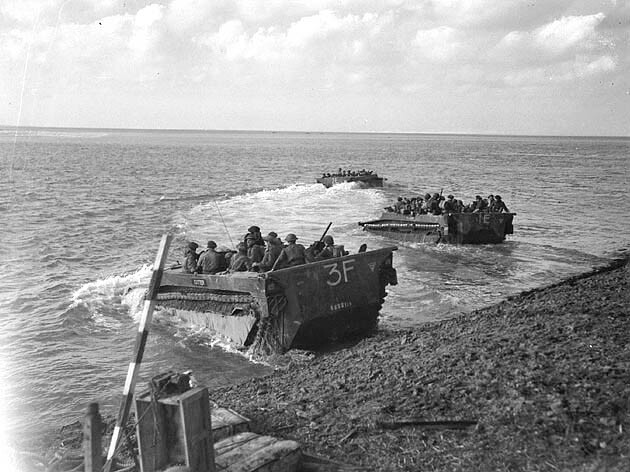 British and Canadian forces now have created another pocket which, when it is cleared up, may develop into another victory larger than the Normandy bag. We have very few details as to the exact dimensions of the coastal pocket south of Antwerp, but roughly the Allied line extends from Antwerp through Ghent, southward to Brussels, then down to Lille, and cuts eastward to the area of Boulogne. Some estimates say that perhaps 200,000 Germans are in this pocket. Other estimates are more conservative, saying perhaps there are 120,00 Nazis trapped in the coastal bag. The Germans are trying to filter through the extended Allied lines, but not many are getting out, chiefly because they simply do not have the transport to carry them—and it is a long walk back to Germany. The British drive northward has paused the past two days, one reason being that the tanks and troops had to wait for their supplies to catch up with them. And then there is the question of this pocket. The Canadian and British string is drawing tighter around this bag, and some troops are being diverted to take care of it. However, the one thing that has marked this advance by the British troops has been the work of the supply echelons. This army has advanced 205 miles in six days without a hitch. The men who drive and load the trucks have done such excellent work that General Dempsey, commander of the British Second Army, addressed an order of the day to the Royal Army Service Corps praising their work. He said that the final defeat of the German army depends to a large extent upon the speed and efficiency with which gasoline and other stores reach the fighting men. 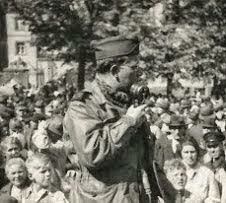 And General Dempsey called on all supply troops to make a special effort until victory is complete. Everyone is thinking in terms of complete and final victory very soon. And the way the armies are rolling, it does not appear to be very far in the future. However, there is still fighting to be done, and there are still Nazis bearing arms to be killed. The Battle of Belgium has for all intents and purposes been won the past three days. Next comes the Battle of Germany, the last battle of this war.